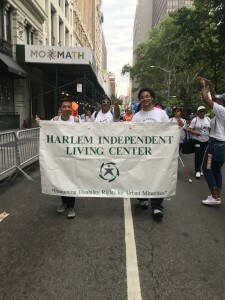 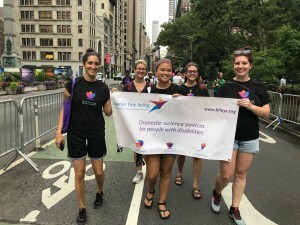 Team members of Barrier Free Living marched in this year’s Disability Pride Parade in New York City on July 15. 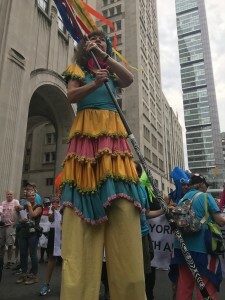 Disability Pride Parades were held through the month world wide. 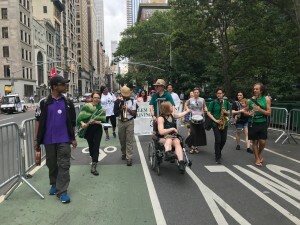 The first Disability Pride Day was held in Boston, MA in 1990. 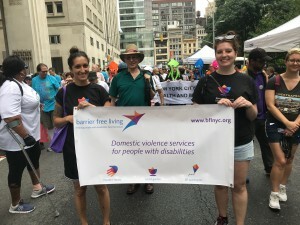 For nearly 40 years, Barrier Free Living has been working with people with disabilities, and survivors of domestic violence with disabilities and their families, at our shelters and programs.